Trakehner Glen offers the best in care and training for the dressage rider and their horse. 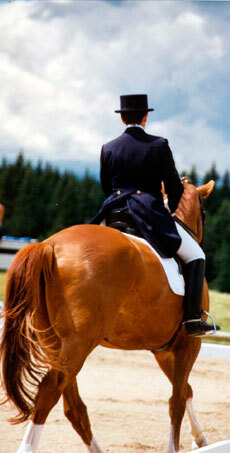 The facility is well maintained and in good condition and includes all amenities that the dressage rider needs. All prices include G.S.T All horses receive 4 feedings of hay per day (pasture horses graze while conditions permit. Pasture horses are brought into shelter in the event of extreme weather conditions. Stable hours are 10 a.m. to 10 p.m. 7 days per week.